Royal DSM is an international life and material sciences company, headquartered in Heerlen, Netherlands. With a core mission of building a sustainable world and improving the quality of life for residents across the globe, DSM is primarily focused on developing cutting-edge solutions that enhance performance across a wide range of product and industries, such as medical devices, pharmaceuticals, food and dietary supplements, electronics, paints and coatings, automotive product, animal feed, alternative energy and bio-based materials. DSM competes for market share with industry leaders Bayer AG, E.I. DuPont, and BASF SE. 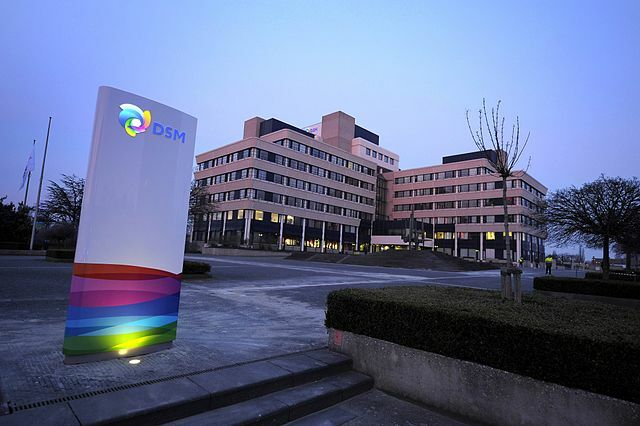 Roughly 20,750 people are employed by DSM in 50 countries around the world, with the vast majority working in facilities outside of the Netherlands. The history of Royal DSM (Nederlandse Staasmijnen) is reflected in its name—Dutch State Mines. DSM was founded in 1902 by the government for the purpose of mining coal. In a few short years, DSM began to diversify, beginning in 1919 with the opening of a coke plant and continuing through post 1945 with petrochemicals and bulk chemicals. In 1973 DSM closed its last coal mine, sealing its new mission as a chemical company. In 1989 DSM sold 70% of its stock on the Amsterdam Stock Exchange, and completed privatization in 1996 with the remaining 30%. DSM is involved in three industries: Pharmaceutical Manufacturing, Plastic Resins and Fiber Manufacturing, and Industrial Chemical Manufacturing. It operates in three business clusters: Materials, Nutrition and Innovation. which is developing and marketing pharmaceutical ingredients; and ChemicalInvest a partnership between DSM and CVC Capital Partners, producing and marketing acrylonitrile, caprolactam and composite resins. • Polymers that are used in the production of raw materials for synthetic fibers and plastics. Staying true to its corporate mission of improving quality of life and building a sustainable world, DSM’s corporate responsibility initiatives are focused on environmental protection and economic prosperity. It is an active partner in the World Food Programme which is working to improve nutrition and access to food for millions of people around the world. The DSM Innovation Center strives to develop product that improves quality of life and protects consumers, while at the same time minimizing the environmental footprint of manufacturing facilities. It has invested considerable sums in bringing biofuels to market, such as plastics made from renewable oils, food ingredients that use natural enzymes and resins that utilize waterborne technologies.